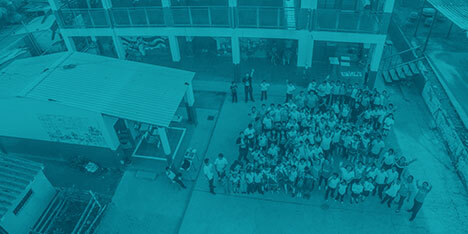 Glasswing International has revitalized the infrastructure of more than 550 public schools throughout Central America, fueled by the passion and dedication of volunteers. These transformations focus on improving both the exteriors and interiors of each school, renovating everything from kitchens to new classrooms and bathrooms, planting gardens, equipping science and computer labs, supplying libraries, and building new sports fields. “Extreme School Makeovers” dramatically improve the learning environment for children, teachers, and administrators, instilling a newfound sense of pride and unity within each school. They also involve parents, teachers, and students in the process, empowering each individual to be a part of the solution.